For every successful meditator, there are a dozen people who have tried unsuccessfully to develop a meditation practice. Yet, by defining what they seek and exploring multiple options, even meditation dropouts can find the right practice to meet their needs. In 1902, the great American philosopher, William James, published a seminal book, Varieties of Religious Experience. Not being religious himself, he asked a number of people what the term “religion” meant to them. Not surprisingly, he found that this common word held many meanings, ranging from piety to mysticism to saintliness. In the same way, the term meditation has many possible meanings — from a state of deep relaxation conducive to better physical health, to a spiritual union with something beyond the human — with dozens of possibilities in between. Although some meditation teachers offer definitions so narrow that only their practice can qualify, when my co-author Eleanor Viereck and I began to compile a guide on the subject, we found dozens of options for people who want to learn to meditate or to expand upon their repertoire of meditation practices. We also discovered that people have varying reasons for pursuing it. Some are drawn by the desire to deal with a medical problem such as hypertension or insomnia, both of which have been shown to respond well to meditation. Others seek a spiritual practice that will draw them away from the hurly-burly of daily life. Yet others seek a way of freeing up their imaginations and becoming more creative. All of these are reasons to look for a meditation practice. But switch their choices around. The insomniac finds relief and relaxation in Hatha Yoga, and the seeker finds that Zen offers the spiritual discipline she sought. Many other options are available, as well. The Zen dropout might have tried biofeedback to get the results he needed. The spiritual seeker might have embraced an indigenous tradition such as drumming. Or she might have found a new connection to a religion of origin through meditative traditions of Christianity, Judaism and Islam. What is your reason for meditating? Do you seek to deal with stress or chronic pain, or to become more attuned to life’s spiritual essence? Do you want to become more aware of others and the needs of society? Are you interested in entering an altered state of consciousness or to become more deeply conscious of the natural world? Would you like to enhance your creative abilities? 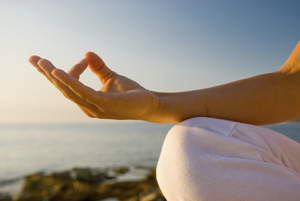 Specific forms of meditation will lead you to each of those goals. Do you practice a specific religion? Does that religion discourage you from exploring other spiritual paths or, if you are not currently a member of a religion, does religious imagery get in the way of your acceptance of a teaching? Depending on your relationship to organized religion, you will find some meditative practices more suitable than others. Can you meditate daily? While this is ideal, other forms of meditation can be practiced less frequently. Can you meditate alone? Can you meditate with others? Depending on your level of self-discipline and distractibility, different forms of meditation will present themselves as suitable. Do you have physical limitations? Even meditative styles that require movement can usually be adapted for those with limited mobility. Do you have an emotional or mental disorder? Most meditative styles enhance, rather than detract from, the lives of those with mental or emotional disorders. However, certain techniques can be difficult for such individuals. Finding an appropriate meditative practice is the first step. Sticking with it is the next and most important one. All meditative forms require a commitment of time and effort. You will not know whether a particular meditation is right for you without trying it out for several months, at least. Choosing well at the beginning of your journey will contribute to a positive experience, but sticking with your practice is what will finally lead you to the results you seek. Patricia Monaghan is the author of Meditation: The Complete Guide, The Red Haired Girl from the Bog and numerous other titles. She lives in Chicago, Ill., and lectures frequently on connections between mythology, spirituality, women’s studies and science. www.patricia-monaghan.com.